I think that I like that pyramid, @Joe Riley , and I can see that there are more things on there than I am doing; but at least I have part of it going on. Thankfully, Chipper does't run like that dog does when we go walking. In dog years, he is older than me; so he is probably glad that I don't run like that either. Maybe he needs one of those little Doggie-Strollers to ride in and we can amble down the street with that ? Since we seem to be combining geese and pyramids, here is some history that concerns both, and has a picture of Egyptian geese from 2500BC. It has some interesting pictures, and I would not have thought that Egyptians had geese until you brought this combination up, @Joe Riley . My apologies, Yvonne, I posted them in the wrong thread. Thanks for the pictures of geese ...walking like an Egyptian! 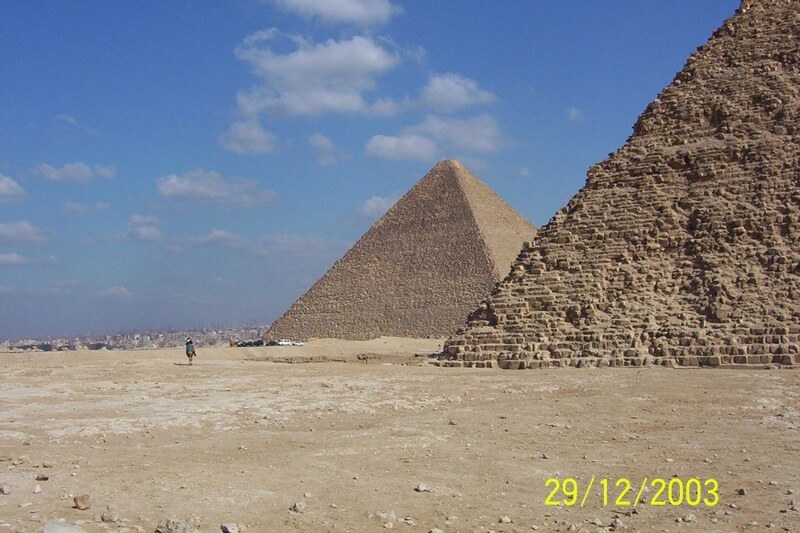 A little walk among the pyramids for you sports fans out there. 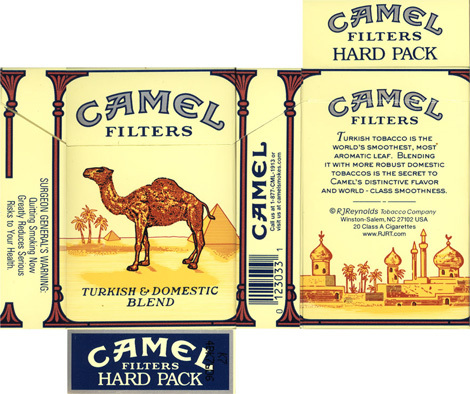 Your first photo reminds of a camel cigarette pack. I can smell the smoke. @Bill Boggs, there was a joke at the time, where a Camel smoker would hold up the pack....displaying the front, and ask the question "You are lost in the desert without water or food....where do you go"? He would then turn the pack around...displaying the back, and say "... just round the corner, to the city"! "S.BS. Surendran, successful Vaastu and feng shui consultant from Bangalore, India speculates on some interesting findings about the Pyramid and discovers some similarities with feng shui and Vaastu". "‘Pyra’ means fire and ‘Mid’ describes the energy resonating at the mid point. The word Pyramid, from the Greek “pyramidos” means a geometrical object, whose base is a polygon (3, 4, 5, etc.) 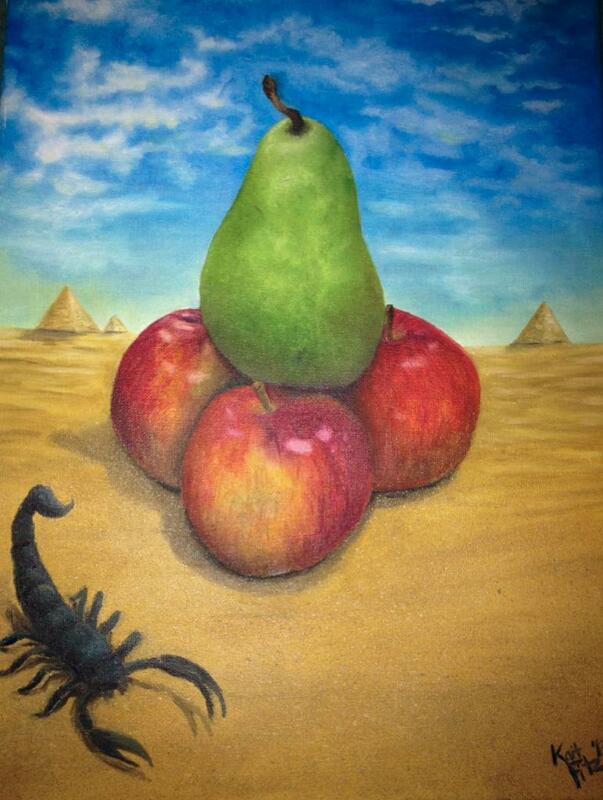 and whose sides meet at one point - the apex of a pyramid. Mathematically, pyramids are projections of hemispheres and the famous Pyramid of Cheops in Egypt, in its proportions and location is said to have a near perfect relationship with the dimensions of the Earth". My, my, where did you come up with this, Joe? This looks like deep stuff to an old Okie. @Bill Boggs ,I found this while looking on google for information for Corie Henson's thread on Sheng feng . The position was important when they built them. Here is the Pyramid, in Oklahoma City, built in 1996.